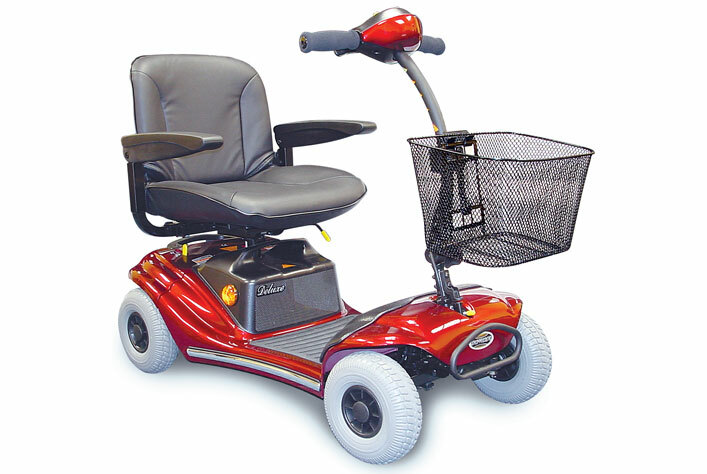 This small stylish 4 wheeler scooter gets around those tight indoor areas easily and through the narrowest doors. It can be dismantled for transporting in a car trunk or for storage in a wardrobe/cupboard. An added bonus is non puncture solid tyres for added security when running over glass or other sharp objects that might be unavoidable on the footpath. A soft faux leather seat with armrests allows you to travel in comfort while the easy use tiller adjusts to your seating position giving you full control.